Good Morning Everyone, Happy Sunday!!! I hope everyone is enjoying their weekend!! 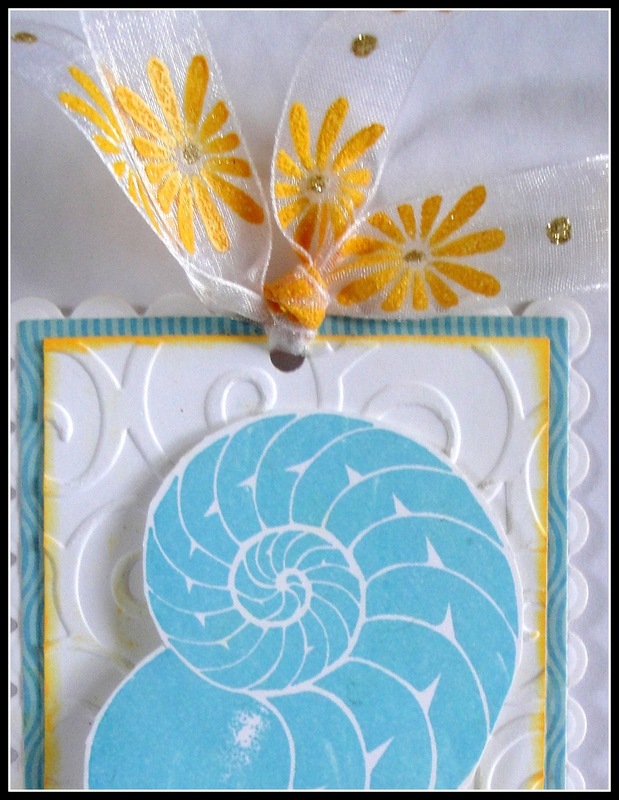 I had a crafty day yesterday, made lots of goodies :) So today I decided to share with you this summer tag I created using some awesome shells by SCACD!! Hope you enjoy!!! Aren't these shells terrific??? These are from the set black canvas shells set, I just LOVE these for summertime!!! 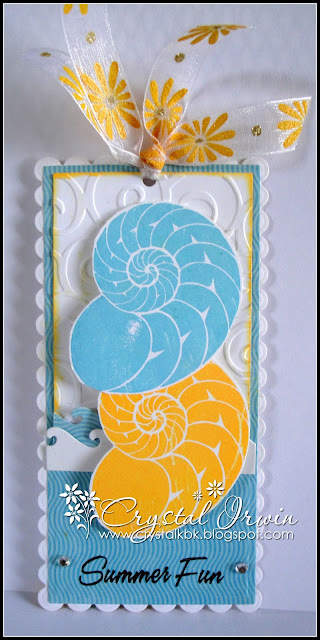 Come check out all the fun Mixed Media Stamps by SCACD HERE!! For this creation I also used the fun summertime paper pad by Echo Park Splash!! I just love this color combo it is definitely one of my favorites....To make this tag I started off using the long nesting rectangles by Spellbinders.... these are just the PERFECT size for tags!!! Before I let you go I wanted to let you know there are MORE new products at SCACD!!! Three New Paper Pads By Teresa Collins with coordinating Washi Tape and Clear Stamps!!! Thanks so much for stopping by today, Have a great Sunday Everyone!!! Hey Crystal!! This is so pretty, I would love something like this. Love the colors to. Hope you're enjoying your summer! Hay you! This is beautiful! The waves are so pretty - the colors are gorgeous, and I can't imagine anyone who would not love to receive this! Thanks for sharing, sweetie! I miss you in measures of oodles - hope you are okay!